These Tab Compatible Mini Numeric Labels are designed to match the Tab Products 1280 Series. 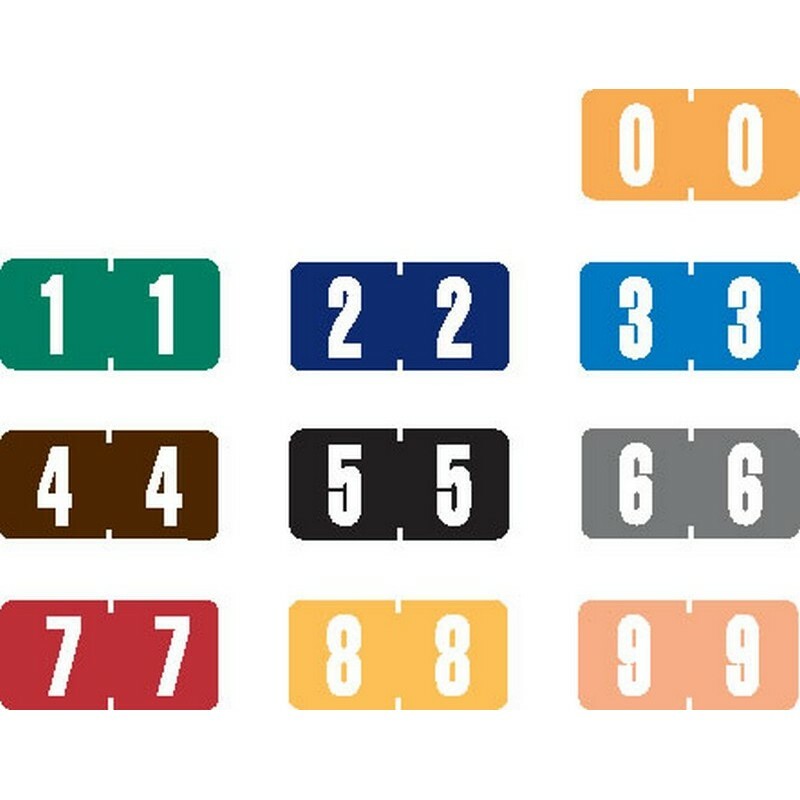 The 10 distinct colors are compatible with the Tab Products end tab filing systems. Label Size: 1" W x 1/2" H, Before Folding. Please fill out the form below to request special volume pricing on the product S-1280.